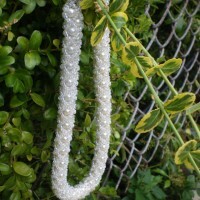 This Necklace utilizes a lot of beads and is quite big and bold. 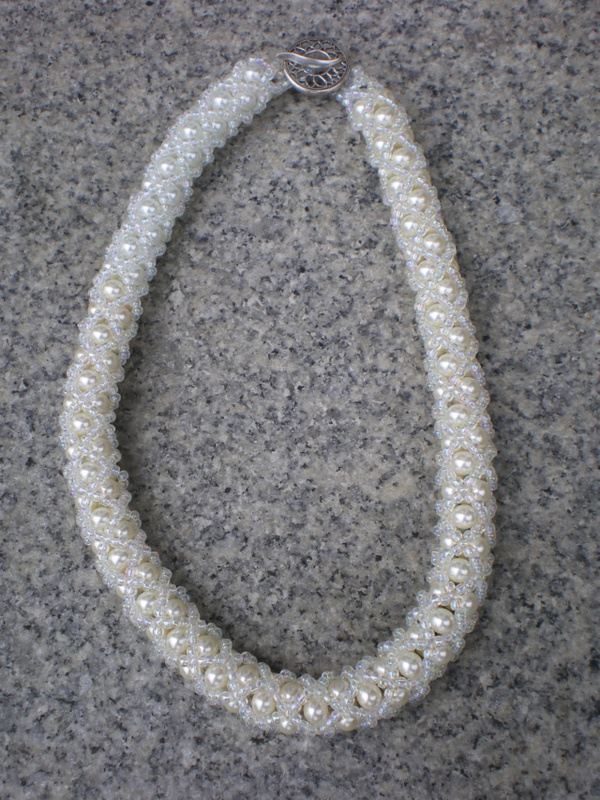 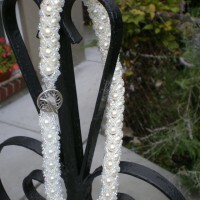 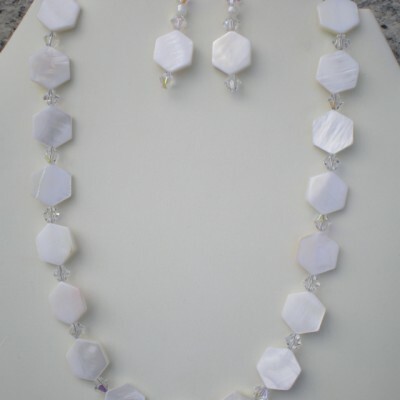 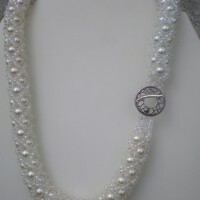 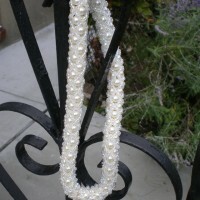 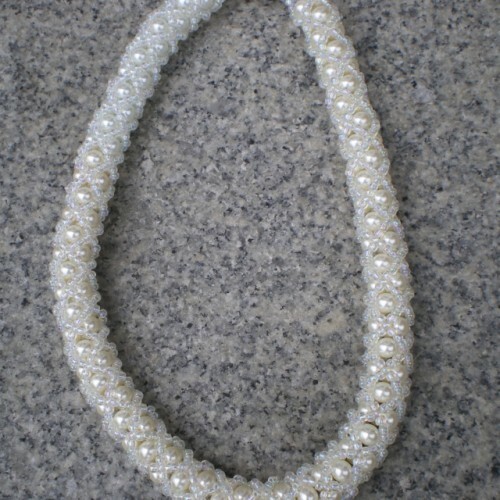 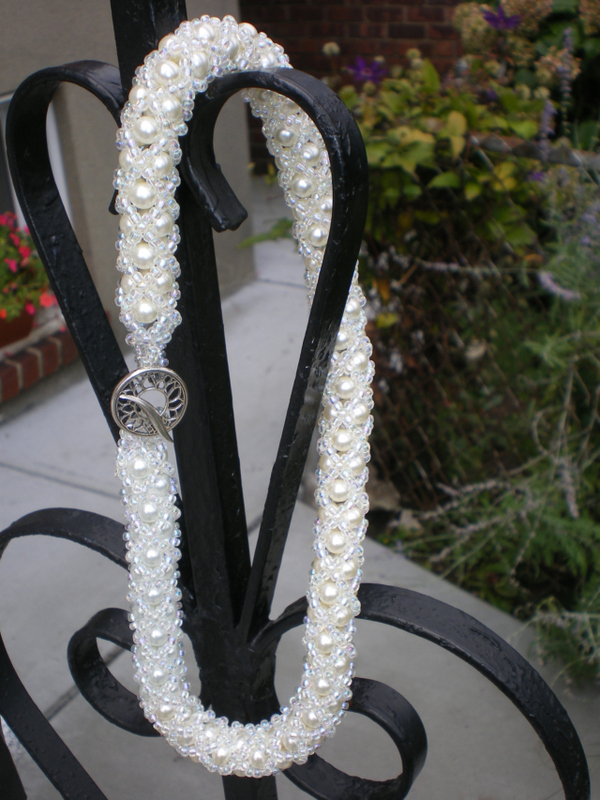 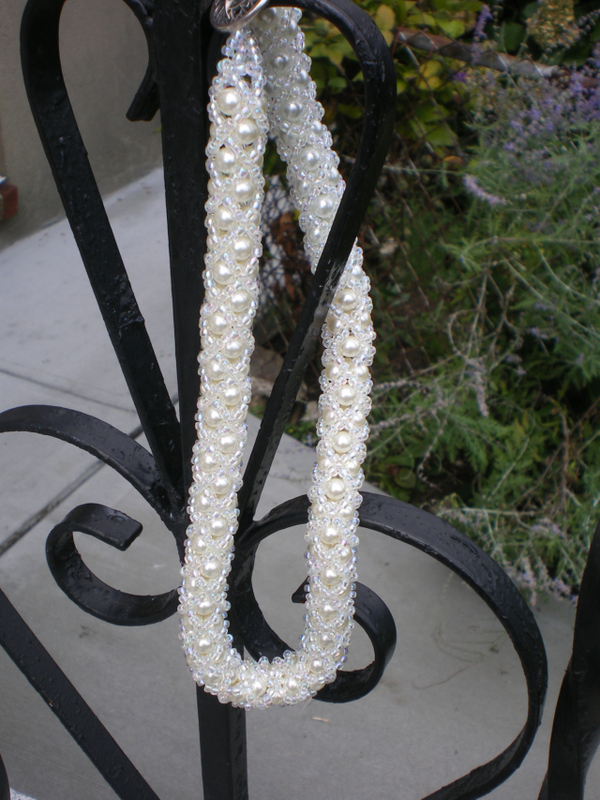 White glass pearls and Japanese seed beads. 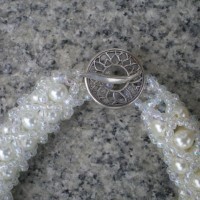 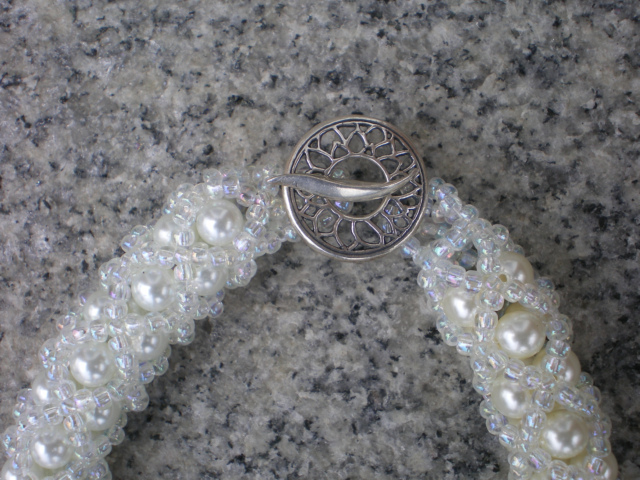 Decorative sterling silver toggle clasp. 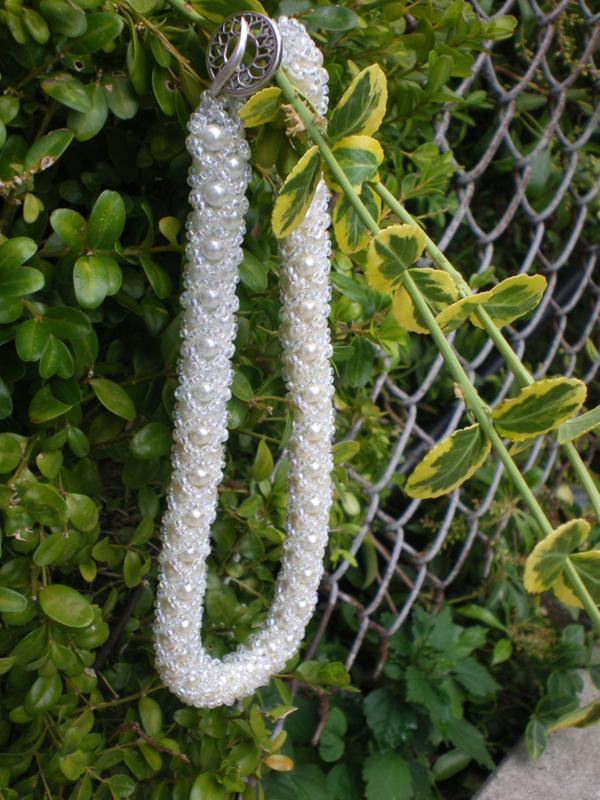 You will definitely be noticed in this piece. 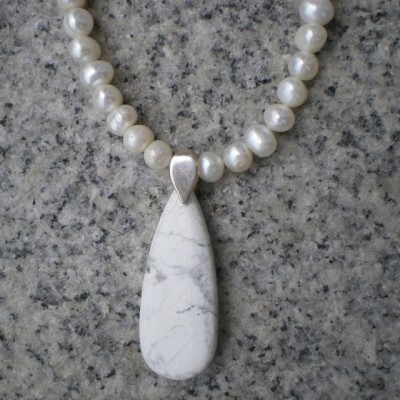 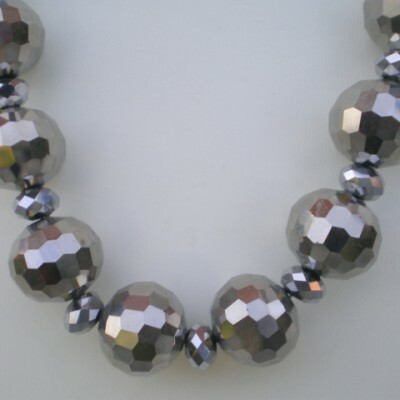 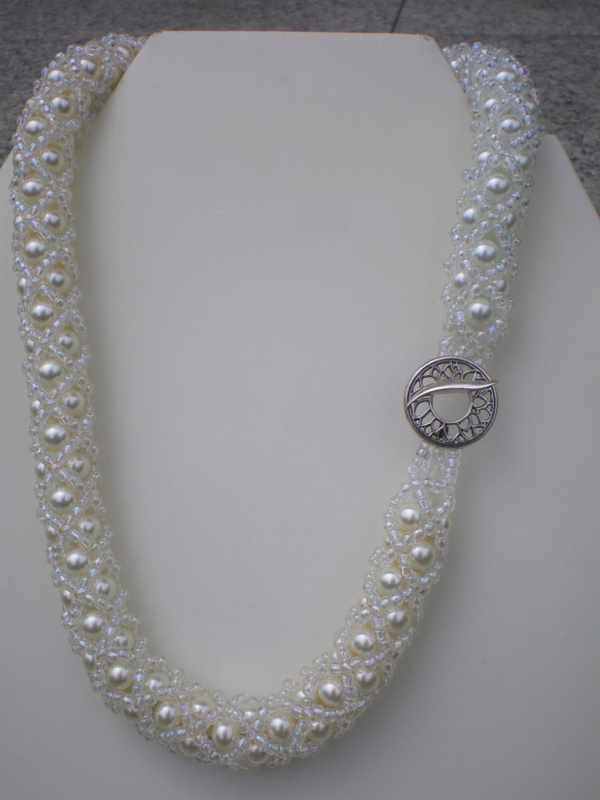 Be the first to review “18″ Necklace beaded in the X and O design” Click here to cancel reply.